David Riklan is the president and founder of Self Improvement Online, Inc., the leading provider of self-improvement and personal growth information on the Internet. His company also publishes two e-mail newsletters going out to over 250,000 weekly subscribers on the topics of self improvement, natural health, personal growth, relationships, home business, sales skills, and brain improvement. David's first book-Self Improvement: The Top 101 Experts Who Help Us Improve Our Lives-has been praised by leading industry experts as the "Encyclopedia of Self Improvement." That book's success motivated him to continue publishing books which seek to improve the lives of others. 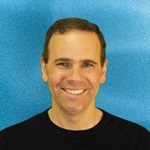 He has a degree in chemical engineering from the State University of New York at Buffalo and has 20 years of experience in sales, marketing, management, and training for companies such as Hewlett-Packard and The Memory Training Institute. His interest in self-improvement and personal growth began over 20 years ago and was best defined through his work as an instructor for Dale Carnegie Training, a performance-based training company. David is a self-professed self-improvement junkie - and proud of it. His house is full of self-improvement books and tapes. He took his first self-improvement class, an Evelyn Wood speed-reading course, when he was 16 years old, and his interest hasn't ceased yet. He lives and works in New Jersey with his wife and business partner, Michelle Riklan. Together, they run Self Improvement Online, Inc. and are raising three wonderful children: Joshua, Jonathan, and Rachel. Make Time For Prosperity And Prosperity Will Make Time For You! God grant me the serenity to accept the things I cannot change, the courage to change the things can, and the wisdom to know the difference.